My first case was Incase's Convertible Book Jacket. 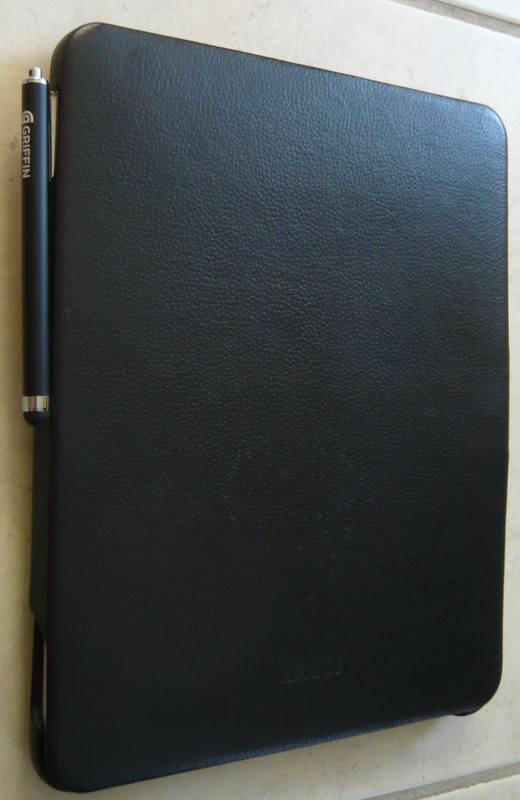 It had beautiful, soft to the touch leather, provided superior protection and had a funky journal book-inspired elastic strap, à la moleskine, to keep the cover closed. Unfortunately there was a trade-off for all this goodness: the added thickness and weight made holding the iPad in one hand for reading uncomfortable, and the extra bulk made me feel I might as well be carrying my laptop. A minor irritant was the omission of a fold-over flap, like that included in the Apple iPad case design, to keep the iPad from slipping when the display was propped up as shown. This may have subsequently been addressed since April 2010. I switched to the Apple iPad Case. Much maligned, this minimal iPad case gets a lot of things right: It weighs mere ounces. It adds very little thickness. Yes it gets dirty easily, but it also washes with soap and water. The fused edges provide edge protection in a fall. And it converts without fuss to an iPad stand. 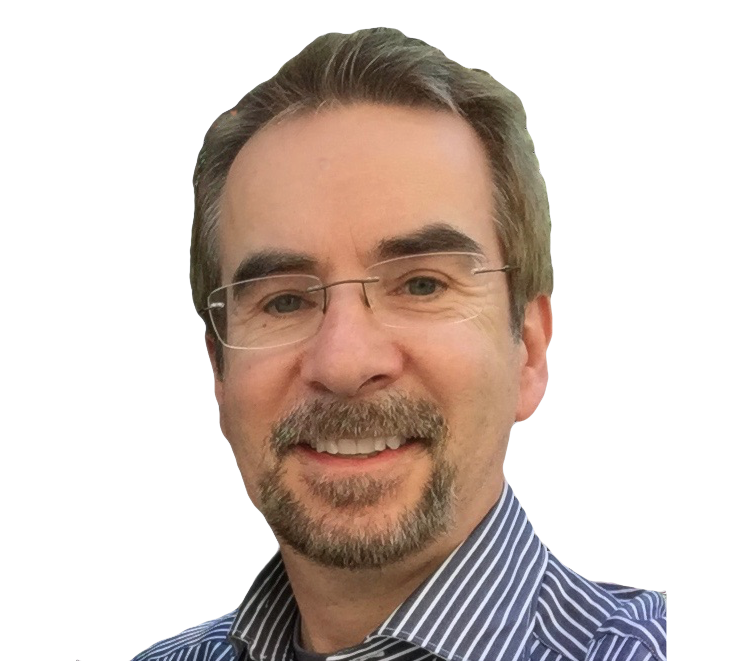 However those fused edges were uncomfortable while holding the iPad in one hand for reading, the often-dirty case detracted from a professional image, and the prominent Apple logo was a source of distraction in PC-centric workplaces. 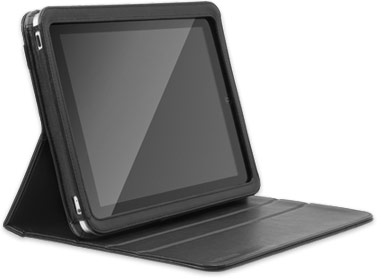 While I admired Vaja's $220 Leather Agenda 2 for Apple iPad, at just 1/3 this price, the $70 SGP Argo case appeared a relative bargain. 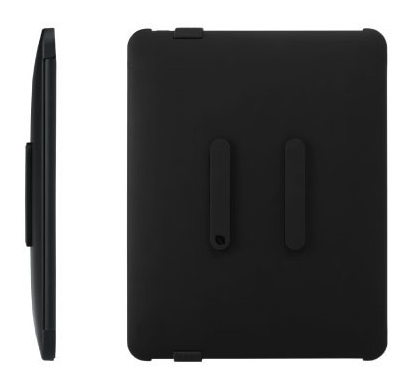 The thickness of this hard-shelled case is minimized by having the iPad clip into the back cover rather than slide into a leather sleeve. 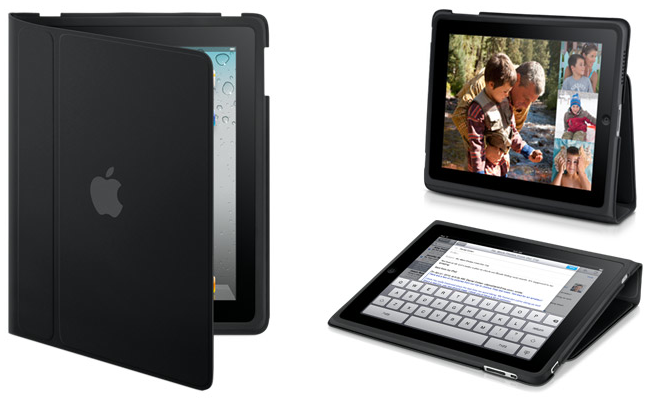 This has the added benefit of removing the dirt-collecting edges around the iPad's bezel found in the previous 2 cases. Another nice feature is that the cover clips shut without the need for a dangling latch strap. The leather finish is hard so there's no worry about scratches, but it does lack the luxurious padded leather feel of the Incase Book Jacket. [SGP does offer more expensive Vintage and Gariz versions.] 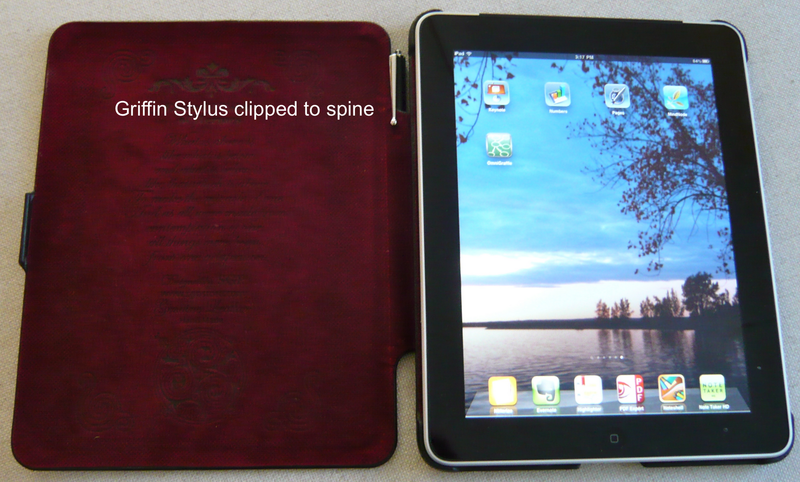 As with Apple's iPad case, I'm able to clip my Griffin Stylus to the outside of the case spine. A show-stopper for some is that there is no built-in stand feature. I just fold the cover back and prop it up with my iPhone. Like the Apple iPad case, the Incase Magazine Jacket is exceptionally slim, light weight, washable, has a multi-position, built-in stand feature, and can be comfortably held in one hand. As does the SGP Argos case, the Magazine Jacket uses a clip-in design which makes screen cleaning a breeze. Like it's larger sibling, the original Incase Book Jacket, the Magazine Jacket has an elastic strap to secure the cover. This address a problem in designs like the Apple iPad case and the Magazine Jacket, where once the cover has been folded as a stand a few times, it may no longer lie flat. On the downside, the thinness of the Incase Magazine Jacket's cover, while providing protection from scratches, offers less impact protection than the other case designs. I also don't care for the two protruding plastic 'stop' strips on the back of the Magazine Jacket – I much prefer Apple's design in this regard. Finally, I'm unable to clip my Griffin Stylus to the outside of the Jacket's spine – the cover is so thin that there essentially isn't a spine. I really liked the slimness of the Incase Magazine Jacket $50, it's built-in stand features, and the elastic closure strap. But for my workday usage, the additional screen protection provided by the hardshell SGP Leather case, Argo $70 case, its leather finish, and the ability to clip my Griffin Stylus to its spine were just a better fit, despite the lack of a stand feature.